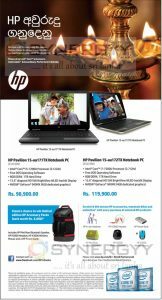 Singhagiri Brought you a special discount on Laptop for this festive seasons, enjoy the special offer until stock at last. 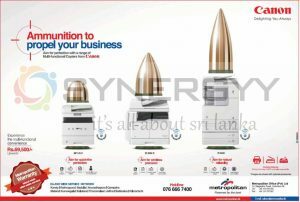 Special 30 Months interest free instalments available for Nation Trust, HNB, Commercial and Sampath Credit cards and Free Gift and Isiand wide service available with 3 Years Warranty. 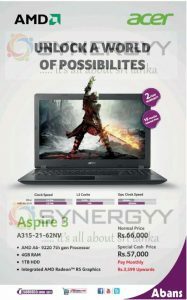 Abans brought you Acer Aspire 3 for Rs. 57,000/- a special cash price promotion. The offer valid only stock at last. Softlogic brought you a Dell XPS 13 9365 notebook at a special price of Rs. 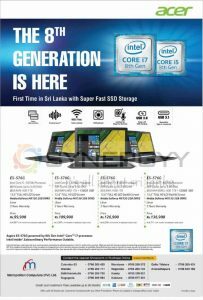 299,999/- upwards, see below for the Corei5 and Corei7 Models. Softlogic brought a special promotion for Grade 5 Scholarship Students to have their notebook at an affordable price for the parent. 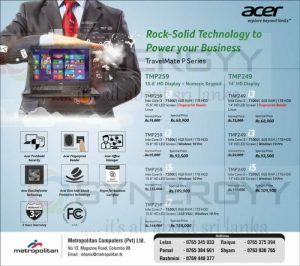 Metropolitan brought you Acer 8th Generation notebook at a special prices as below, enjoy the Super-Fast SSD Storage now with acer Notebook. 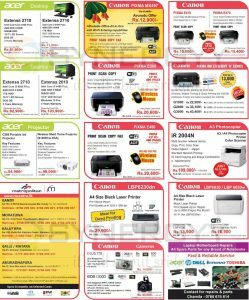 Metropolitan office brought you a Canon all in one Printer/Scanner/DADF & Duplex Upgradability depending on your office and personal requirement for the price of Rs. 69,500/- upwards. Business Machines brought you a large LED Display Build in PC on 55”,65”,75”,84”and 96”. 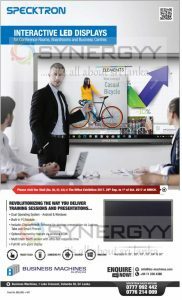 The build in PC comes with interactive LED Display for Conference Rooms, Boardrooms and Business Centres. 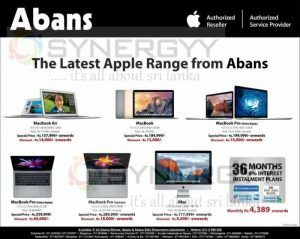 Yoga Laptops have been in the market for over two years, but the higher market price has halted Sri Lankans from getting their hands on one. 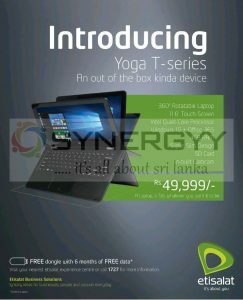 Understanding the consumer need and bringing innovative solutions, Etisalat in collaboration with EWIS produces Sri Lanka’s very own Yoga Laptop. Bundled with a free dongle offering 3GB of free data monthly for the first six month just for Rs. 49,999/-, this is the ideal device for a person who is always on the move. Designed with state-of-the-art features keeping the trendy tech savvy corporate and youth in mind; the convertible slim design supports 360 degree rotation, instantly transforming it from a laptop to a tablet. Equipped with genuine Windows 10 and Office 365 applications, the Etisalat Yoga Laptop doubles as a tab. Furthermore the Hold, Tilt and Stand modes allows users easily operate the device in any situation. It features a built in camera, Bluetooth and wireless 802.11b/g/n connectivity, and a touch screen measuring at 11.6” with a screen resolution of 1920 X 1200. Weighing at 1.2 kg the Etisalat Yoga Laptop houses an Intel Quad core 1.84 Ghz processor and 4GB RAM. Visit your nearest Etisalat Experience Centre or call the Etisalat Business Solutions Centre on 0720 980 980 to obtain details on instalment schemes made available through selected banks. 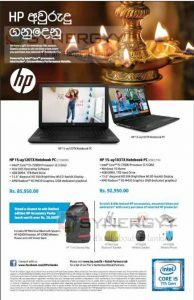 HP Sri Lanka offer a decent notebook for Rs. 85,950/- upwards for this new year season. Every customer will have a gift in this season. Stand a chance to win exciting prizes when you purchase any selected HP Notebook PCs. Scratch & Win instant HP accessories, mountain bikes and umbrellas* with every purchase of selected HP products! And Stand a chance to win limited edition HP Accessory Packs (each worth over Rs. 20,000)* Includes HP Mini Roar, Bluetooth Speak, HP H28CO Headset, HP X3000 Wireless Mouse and a HP Power Bank. 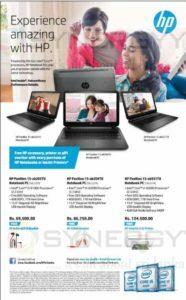 HP offers a special promotional prices for HP Notebooks on this season, Stand a chance to win exciting prizes when you purchase any selected HP Notebook PCs. Stand a chance to win limited edition HP Accessory Packs Includes HP Mini Roar Bluetooth Speaker, HP H2800 Headset, HP X3000 Wireless Mouse and a HP Power Bank. And Scratch & Win instant HP accessories, mountain bikes and umbrellas with every purchase of selected HP products! Singhagiri brought you Lenovo IP300 Laptop for Rs. 79,900/- a special price after Rs. 10,000 discounted. also you can get this special price for interest free 15 months installment basis; Therefore with installment scheme you may need pay Rs. 6,658/- per months for 15 month period. 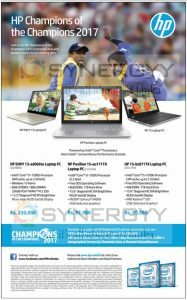 And Singhagiri brought you Lenovo IP300 Laptop with Genuine Windows 10 operation system and 3 years warranty. And you will get additional gift of 3 years virus protection and Colour Printer or 4GB Ram as optional. 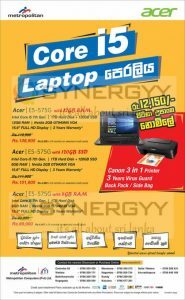 Sonad Technologies Ltd Ragama announces a special promotions for the Asus, Dell & HP Laptops for this post festive season. The special prices are valid only till stock last. 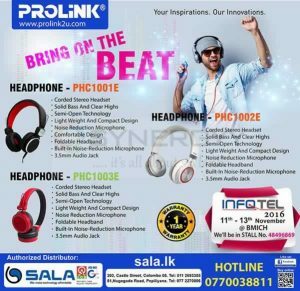 Sala Enterprises brought your affordable good quality stereo type headset headphones from Prolink. Enjoy solid bass and clear highs for prolinks headphones. 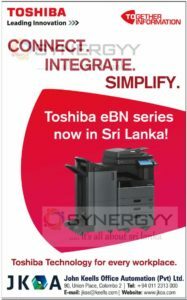 John Keells Office Automation is a leading corporate printing solution provider who sales and renting printing and stationary solution to corporate comes with latest Toshiba eBN Series in Sri Lanka. 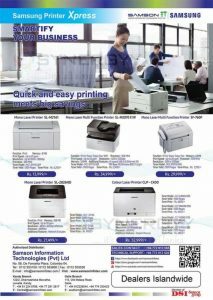 You could contact to John Keells Office Automation for your domestic and corporate needs and the latest printing and stationary solutions with good after sale services. 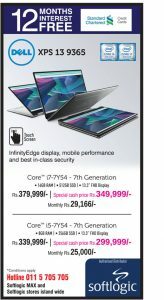 Softlogic announces a very special price for the acer laptops with 4 years extended warranty with an attractive discounted price for monthly installment too. 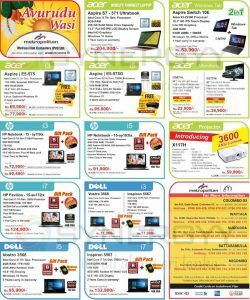 All above prices with 4 year extended warranty and Free Genuine Acer carry case worth Rs. 2,499/- with every Laptop. 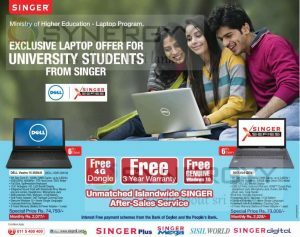 Singer Sri Lanka announces a special promotion for the Dell and Singer X Series Laptop for university students at a special price.